In this article, I would like to explain and share the NodeJS code to get all the users from O365 using Graph API and will also discuss how to validate the raph api users results again the o365 admin portal. In this article, I would like to explain and share the NodeJS code to get all the users from O365 using Graph API and we will see how to validate the Graph API user results with the O365 Admin Portal. What is Microsoft Graph API? It is a developer platform API that is used to get the data from O365 Azure, Outlook, SharePoint, Intune, Skype, OneDrive etc. It gives you a single REST API endpoint to interact with the Office 365. “Microsoft Graph is the gateway to data and intelligence in Microsoft 365. Microsoft Graph provides a unified programmability model that you can use to take advantage of the tremendous amount of data in Office 365, Enterprise Mobility + Security, and Windows 10. 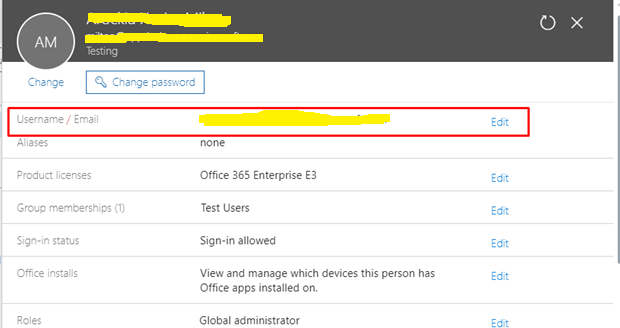 Register the app in Azure AD using that client ID, Tenant ID, and secret key. Follow the below URL to Register the app in Azure. Make sure to check that your registered Azure app has permission to read the directory data. In a single API call, we are able to get only 100 users so pass the top ten API endpoints to get up to 1000 users. If you have more than 1000 users, we can use the next link to get another 1000 users. Then, bind the results based on your requirement. You will receive the below object when you call the user's API. How to verify the results in O365? Once you get the results, you can verify the results from O365 and also, follow the below listed steps to verify the output. Log into Microsoft 365 Admin Center. Learn more here. From Microsoft 365 Admin Center, click Users option and then Active Users option. From Active Users, click any one user’s display name and validate the email address. From Edit Contact Information, verify the following fields First Name, Last Name, Location, Department. And also, you can export the users and validate the details. In this article, we have explored how to get the information of all the users from O365 organization using Graph API. Happy learning.